Let's wrap up our giant Sideshow Collectibles gallery from the SDCC, today featuring not only one, but in fact the second gallery of images from their massive booth. You get 86 per, so as not to overload the icon capacity of the human mind - Internet Aneurysm indeed! You can go right to the chopper, but I'll also feature a few of the images right here that I think came out well from the set. I seemed to have a good deal of flash trouble on their glass, so will try to do better next time! 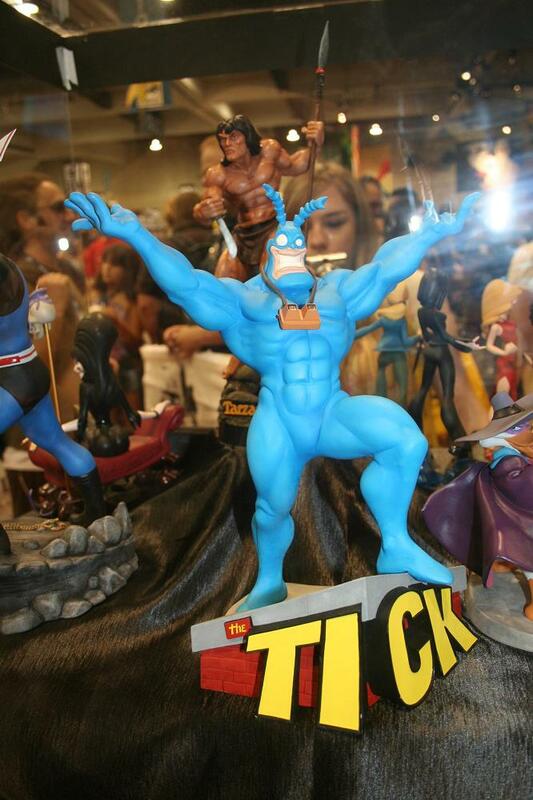 I am always unabashedly delighted that The Tick is continuing to find so much representation in media, be it the (admittedly short lived) live action show with Brock Samson, the numerous figure lines, or the recent comic anthologies that have been coming out. Everyone needs more The Tick in their lives! 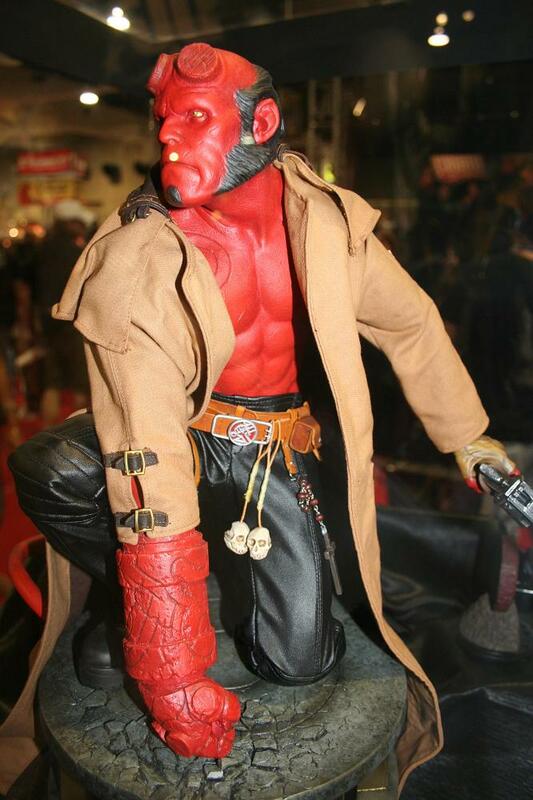 Sideshow clearly has a real crush on Hellboy, and with good reason because it's clear that they can make representations of that character that are mindblowingly great. Just check out the detail on that figure, but be careful since you'll probably want one afterwards. 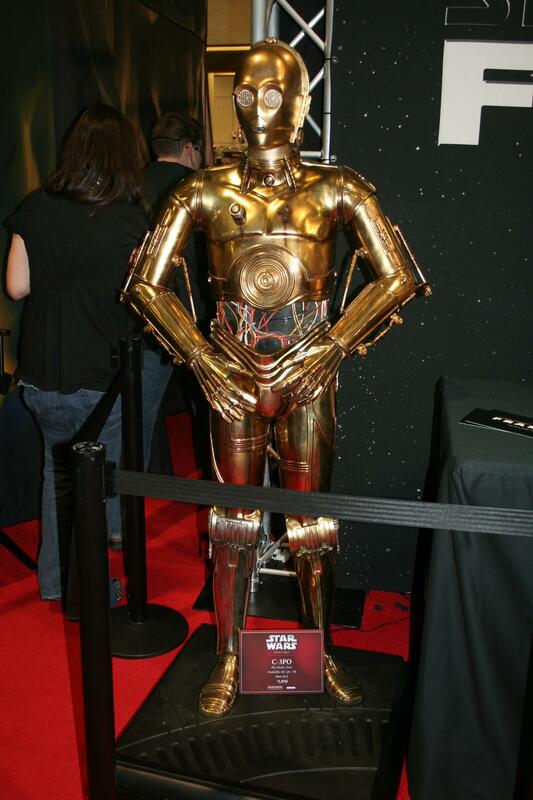 Finally, let's not forget that Sideshow has made a prop-accurate amazing C-3PO figure, in 1:1 scale. Sure, it'll set you back $5,950 but if you have the means, I highly...yeah. Click that image for the super large pic - the figure deserves that level of detail! You can also find several close up shots in the full gallery.